With the advances of technology, it’s become easier and easier for campers to bring modern conveniences with them when they’re out in the woods or going on a long road trip. While many people used to bring a good book in the past, the modern camper now chooses to bring electronic tools and appliances with him in order to get by. It’s a tiny piece of luxury that can make one’s camping experience even more enjoyable. Even when you’re not camping, it can be handy to have a generator at home in order to help you through those pesky blackouts so that you can still take care of some of your chores. But rechargeable batteries can only get you so far, and not all devices can have their batteries switched out this way. That’s where a portable generator can come in handy to provide all the power you need. The traditional model of generator uses some kind of fuel in order to provide power, but there are solar generators that do the same job just as well. Even more, these models don’t require you to burden yourself with the extra bulk of fuel containers and don’t pollute the atmosphere. After all, isn’t camping about getting back to nature? To find out how solar energy works, check out our article on this interesting topic. 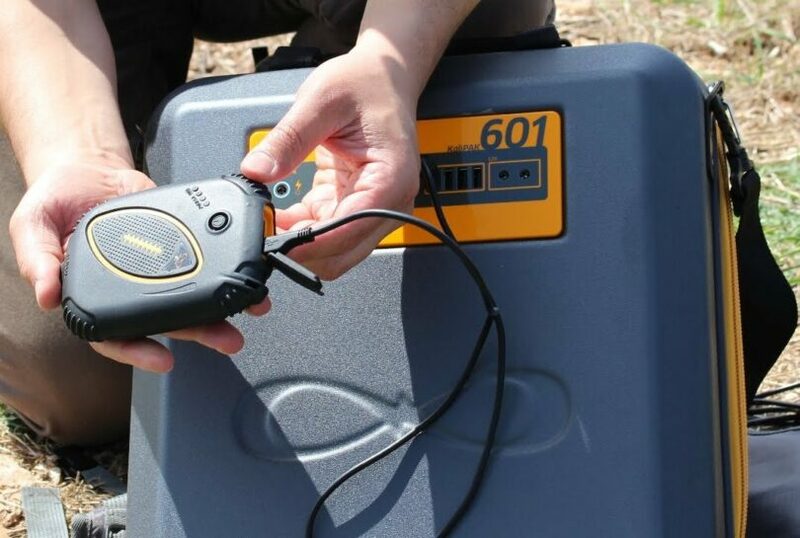 That’s what the KaliPAK 601 558-Watt Portable Solar Generator was designed for, and it’s not like any solar power generator that’s out there on the market. In comparison to its competitors, it’s a lot more portable, has better performance ratings, and looks generally more attractive than other solar generators that are out there. One would think that with a generator that’s so small and light you wouldn’t be able to charge a cellphone with it, but the KaliPAK is more than what you’ve bargained for. It has the best energy output to weight ratio, with 558/14lb, which is more than what can be said for the other solar generators in the market. Just how much is that? In a single charge, this generator can power five LED bulbs (400 lumens) for 120 hours, a 10-Watt flood projector (900 lumens) for 60 hours, or a 20-Watt flood projector (1800 lumens) for 30 hours. That’s definitely a lot of power that you can spread around to your other devices before you’ll need to recharge again. The KaliPAK was created and developed after Hurricane Sandy in 2012, where plenty of people were left without power for weeks on end. Researchers in the green sector were trying to find an effective way of helping people to be self-sufficient during these troubling times without impacting the environment too terribly. Solar power was their answer, and they found a way to harness as much of it as possible in this handy little package. 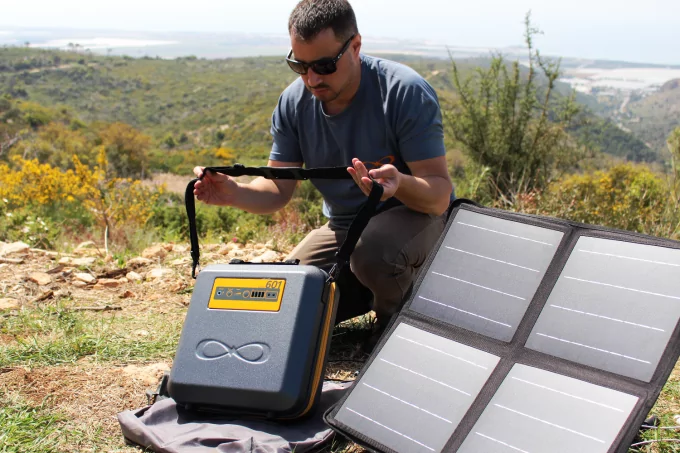 Many people have struggled in the past, dealing with solar panels that are too rigid and fixed to adjust to the direction of the sun, but the KaliPAK 601 found a way to compensate for that with its all-in-one-kit that includes a 40-Watt FX Flexbow solar panel. This allows for the maximum amount of solar power to be trapped so that it can be better used, instead of having it wasted. Has the sun shifted so that now there’s a shadow falling across your solar panels? Just flex the arm to a better position, and you’re good as new. Not many portable solar generators can boast the same features. To give you plenty of other options to suit your needs, read our article on alternative energy sources for the homes. Other than the fact that it’s much more useful and portable than a gas generator, you don’t have to wait to get to your campsite to start charging it. The solar panels themselves can be placed on the dashboard or on the roof rack of your car, so you can charge while you head to your destination. 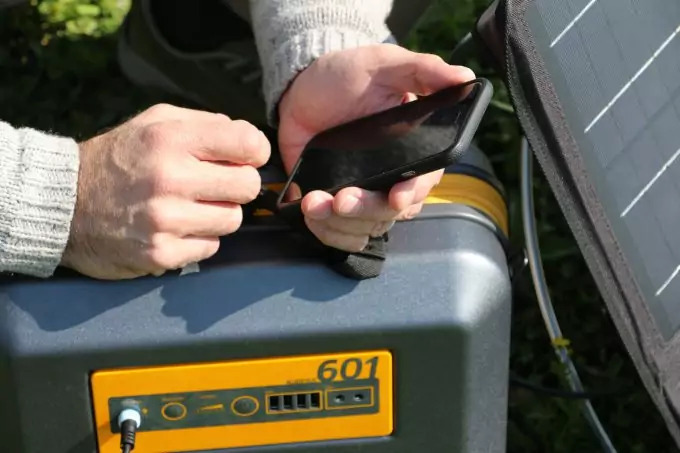 It’s the epitome of having portable electricity at your fingertips, and KaliPAK has designed a generator that will help you make the most of it. One thing that people worry about the most with solar generators or power supplies is that when they’re not using any of the power, it’s being wasted and will generally waste away until it’s dry again. But you can worry a lot less, since it comes with a free app that you can have on your phone that allows you to monitor how much power is stored and how much you’re consuming with each charge and use of the generator. That allows you to allocate your power as you need so you’re not wasting any of it on frivolous purposes. It all connects easily to your phone through Bluetooth, so you won’t have to worry about carrying any extra cords with you. 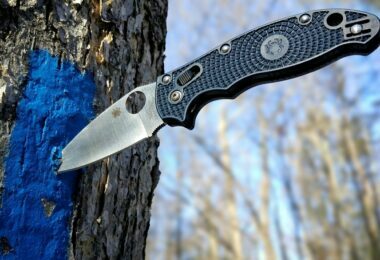 The KaliPAK works great in emergency situations, either when you’re out camping or when you’re at home and the power has gone out. You have an immediate solution to take care of those smaller problems, like charging your phone so you can contact the authorities. And if there’s no sun for you to power this handy device, you can still charge it through the use of a wall socket or car outlet, so you can get just a little juice for when you really need it. The KaliPAK 601 models are known for providing up to 590 Watts of solar power, and they can store it all in a handy 39Ah battery. This is capable of providing power to smart phones, tablets, laptops, and several light sources many times over. At $999, that’s an affordable price for the convenience you’ll receive out of this small and easily portable device. It only weighs about 14 lb, making it easy to carry around. Even more, it comes with an included backpack that will be very helpful in keeping everything inside. The shoulder straps make it easy to lug around on your shoulder. The generator itself has several USB ports for small electronic devices, and 12V power switches for laptops, lights and mini-fridges. And on top of all that, the KaliPAK comes with a wide variety of other accessories to make your camping trip even more comfortable, such as an all-weather raincoat, extra space in the pack for your survival kit and water bottles, and included wall charger and car-lighter adapter for when it just isn’t sunny out that day. 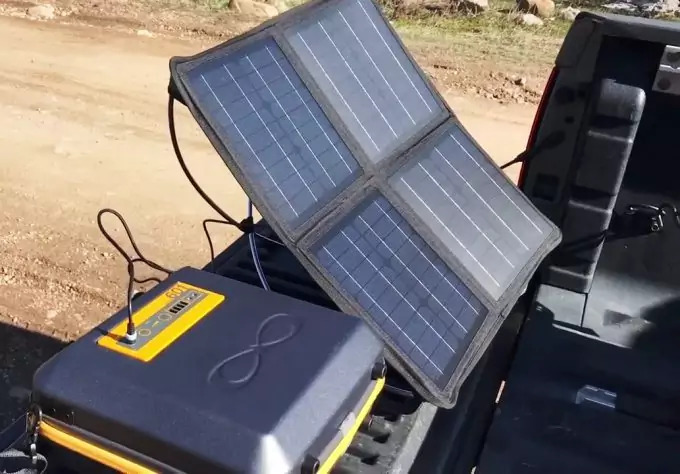 So, instead of being caught out at night or in the rain, bored out of your mind and worrying about keeping your tent lit, this handy solar generator could be exactly what you need to include in your survival kit the next time you decide to go camping. It’s so versatile that you could even use it in the house for your smaller devices when you’re suffering from blackouts or brownouts, allowing you to stay in contact with your loved ones. It may seem on the expensive end of generators, but the elimination of purchasing fuel over and over again definitely makes this a more sound option, on both the environment and your wallet. See our list of the best compact solar generator to help you with more options.